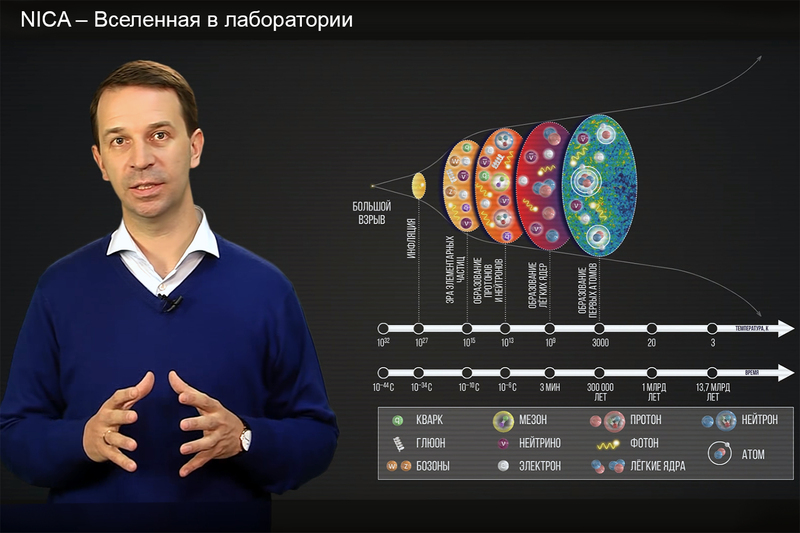 The JINR UC Department of Development of modern education programmes under the guidance of Yuri Panebratsev had prepared an Open videolesson «NICA – the Universe in a laboratory» by the Day of Russian Science. The lesson is given by G.V. Trubnikov, Deputy Minister of Education and Science. Video records are available on the website of the NICA project – nica.jinr.ru/lesson. Using these videos, a range of events have been organised. On the 3rd of February, at the Dubna school No. 11 there was a thematic presentation with the assistance of physics teacher I.G. Osipenkova. An Open lesson was held for students of the Lyceum № 6 at theMuseum of Science and Technology of JINR on 8 February 2017. 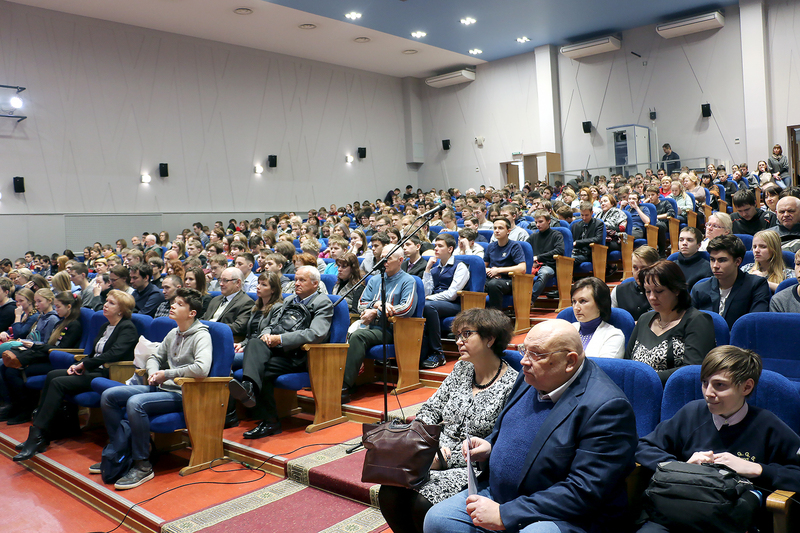 On the 7th of February, with the support of the Ministry of Education of the Republic of Karelia, and the teachers from the Petrozavodsk State University and the Lyceum № 1, an Оpen lesson for school students was held, which was attended by about 120 people. Also there was a presentation for students of the Petrozavodsk State University. The hall for 450 people was full. Deputy Minister of Education of the Republic of Karelia, N.D. Volkova opened the presentation. Students actively asked questions, which means that the lesson has awaken great interest among the audience. After the event, a meeting was held with the teachers of the Republic of Karelia, where they gave a high appraisal of the prepared materials.